Art was amazing. He took us throughout the downtown telling us personal stories of growing up in LA. His stories are fantastic and help you understand the culture of this city. He showed us numerous murals and told us about the artists and other artwork they had created. The murals are wonderful. 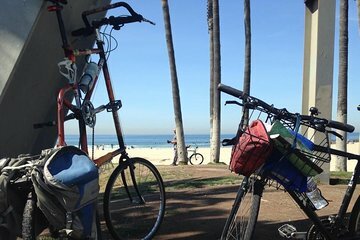 The tour through the Venice Beach area was beautiful too. It was a wonderful adventure. I would recommend doing this tour right after your arrival in LA as Art shares places to visit and places to eat that you might not know about and then you can take advantage of his insider knowledge. Simply terrific!